New Delhi, February 24, 2016: YuppTV, the world’s largest Over-The-Top (OTT) provider for South Asian content, has announced its partnership with &TV. YuppTV’s partnership with the channel will allow its users to catch a diverse and dynamic mix of relatable fiction, high voltage non-fiction, marquee events and blockbuster movies in Hindi from &TV through its platform. 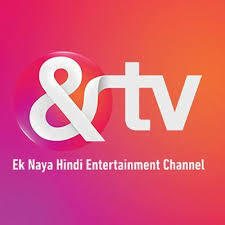 &TV is the flagship Hindi GEC of the ‘&’ bouquet of channels from Zee Entertainment Enterprises Limited (ZEEL), a global media and entertainment company. With the association confirmed, &TV’s delightful blend of programming across genres will now be available to YuppTV users across the globe. Be it the fast paced crime-mystery thriller ‘Agent Raghav - Crime Branch’, the horror series ‘Darr Sabko Lagta Hai’ or the family comedy ‘BhabhiJi Ghar Par Hai!’, YuppTV users can access &TV’s offerings through the YuppTV website, www.yupptv.com, or on smart TVs, smart Blu-ray players, streaming media players, gaming consoles, smartphones and tablets through its app.